Brian offers extensive technical experience and expertise in warehouse management, electronic data interchange, and integration software and solutions. Before founding Ramp Systems in 2006, he was a senior software developer at Neptune Software, a warehouse management software company. He founded Boomi, an EDI and integration software company, in 1999 and Dell acquired the company in 2010. Brian, who earned a degree in electrical engineering from Pennsylvania State University, also consulted for several large supply chain execution organizations, including UPS and DB Schenker. 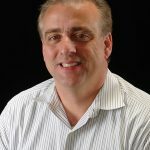 Tim joined Ramp Systems in 2009, bringing with him operational expertise in third-party logistics for dry warehousing operations, refrigerated warehousing and transportation services, along with sales and marketing expertise. Prior to coming to Ramp Systems, he marketed WMS for the LDS Corporation, Delfour, Accellos and Cadre Technologies. 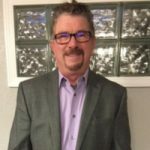 A graduate of the University of Missouri with a degree in business administration/marketing, Tim spent 20 years as a 3PL operator in both cold storage and dry operations, and has owned interest in two companies: Emerald Delivery Systems and Quality Logistics Services. 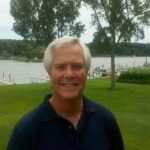 Pat joined Ramp Systems in 2012 in a sales and training capacity and has more than 30 years of experience in the 3PL industry. He previously worked as a client technical professional at IBM, a senior sales engineer at Accellos and a senior sales consultant with Infor and Provia Software. Pat is a graduate of Michigan State University. Ethan has made a significant impact on customer service and support since joining Ramp Systems in 2014. He graduated from Drexel University with a degree in information science and technology and is an expert in SQL and PHP programming, reporting, desktop support and RF. Ethan spent the previous two years as VP of Operations at Mullica Hill Cold Storage. Before that he spent 11 years as Director of IT, 3PL Warehouse at Mullica Hill Cold Storage and Garden State Trucking.